Casio VR200 Till is one of the latest creations by Casio. The system is fast, responsive and affordable and is one of the best-selling Tills worldwide. There are many reasons why this is the case, let’s see them. Casio VR200 Till – Who Will Find It Most Useful? If you are a business owner in the hospitality or retail industry and you are looking for total control with sales, inventory and staff then you have come to the right place. The VR200 Till is totally recommended for any business owner no matter how larger or small. If you have a fast food store, a restaurant, bar, pub, coffee shop or retail store, the VR200 is what your business yearns for. The system is a great modern solution that will register everything on the front end till and on the cloud back office software. It’s stable, intuitive and feature rich, especially if you get to know how you can make use of it! Casio VR200 Till – How Can Businesses Benefit from It? There is a reason why the VR200 has been named multiple times as the best and most ideal hospitality and retail till terminal. This touchscreen cash-register will not only enable owners/managers to record and fully customise report data, but it also comes with the option to have an integrated credit card terminal or non-integrated credit card terminal depending on your business requirements. Each transactions and product line is recorded instantly on the front end till and back office software. Since the till system is cloud-based, you can edit the changes from anywhere from a web browser. And with unlimited cloud back office software logins at no extra cost. Store owners, partners and directors have full control. You can view your orders and current daily revenue and create any type of electronic report from the comfort of your home, at work or head office. You’ll just need an internet connection. That’s the beauty of the Casio VR200 Till. You have total control with minimum complex IT infrastructure. Once a VR200 till system is fully setup by SWSystems using the system and cloud is a breeze. We have deployed over 50 terminals in different branches in one day before so do not worry you are in good hands with SWSytems. The neat design and the simple menus make it easy for the staff to learn the day-to-day basics. This minimises staff training times and reduces overall training day costs. It also comes with a built-in printer which solves lots headaches with space, style and speed. The VR200 features make it easy for managers and store owners to make changes to the system with minimum fuss. The 10.4 inch display is very responsive and super clear. It is interesting that the whole EPOS system will consume only 18 wats during operation. So it is a green product with proven low energy consumption. Casio VR100 Till – Who Can Make Use Of It? When 40 years ago the point of sale industry started booming, Casio was one of the most dominating companies. Nowadays, it is still the same. Casio are one of the leading manufactures and software developers of electronic cash registers, touch screen EPOS terminals and cloud back office software. The VR100 Till is designed primarily for hospitality and retail scanning stores. With hospitality, businesses such as: pubs, bars, restaurants, night-clubs and café use this system with much satisfaction. Therefore, if you are a business owner, manager or employee then continue reading the features. Casio VR100 Till – How It Can Help? There are numerous features and little details where the VR100 can be of extreme help. Of course the registration of each sale and synchronisation of the cloud back office software is still one of the most vital and important features. It enables store owners to create relevant, electronic reports that are needed not only for overview, but also for accounting purposes. All report data can be exported electronically by date range to PDF, Excel (XLS), CSV and many other output types. Sales can be exported in appropriate formats for Sage, Xero, Quickbooks and many other accounting type softwares. Owners of businesses can manually enter and customise their products and services and quickly train their employees on how to utilise the features of this great EPOS till. Every registered transaction is easily accessible from anywhere because of the cloud services provided by SWSystems. Even from your smartphone or head office or shared amongst multiple head office staff. Everything you previously entered can be edited or deleted. Once you edit a product it automatically synchronises across the cloud and the changes are made everywhere in each branch on each terminal. 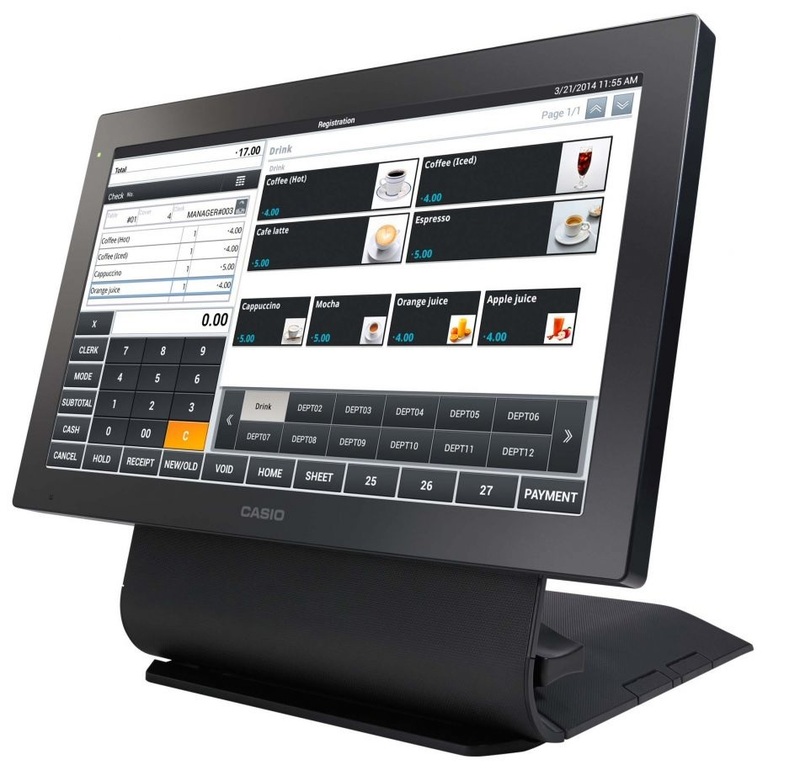 The Casio VR100 EPOS system is also great hardware wise. The integrated receipt printer is very popular with customers who do not have a lot of space. Other devices such as cash drawers, scanners, magnetic dallas key reader (included) and magnetic swipe and contactless cards are all options to be added onto the system at time of purchase or at a later date to further enhance your business. The VR100 is also designed with a purpose to serve you in the best way possible, while keeping costs low for store owners. It is water and dust resistant which can give you comfort. The 10.4” touch screen makes things really easy for the employees and on top of that there are videos included in the product so employees can make use of the features and data management functionalities much more quickly with minimal training. On top of that the VR100 is also based on the Android platform and has the option to have a non-integrated card terminal or a fully integrated card terminal. The system is easy to install and has lots of functions and electronic reports to give you true insight into your business and how to maximise profits. EPOS systems are the best selling, next level sales and inventory devices that can make or break your business. If you think you are ready to use our range of SWS EPOS systems, or are still having doubts, then please do not worry. Generally SWSystems VR EPOS systems offer a complete solution for most businesses. They are cash registers, inventory management tools and invoice and report creators. They can help your business make all important sales, generate invoices, give receipts, add new products and update prices. They also enable store owners to have easy access to everything available across the cloud without any obligation to be on the premises of the business. The quality EPOS systems can be a game changer for businesses, that’s why store owners and management should focus most of their attention to finding the best branded EPOS Tills on the market. When it comes to EPOS systems, the brand which produces these EPOS till systems is basically the most important thing. The functionality, safety, quality and intuitiveness depend on the software and the hardware. 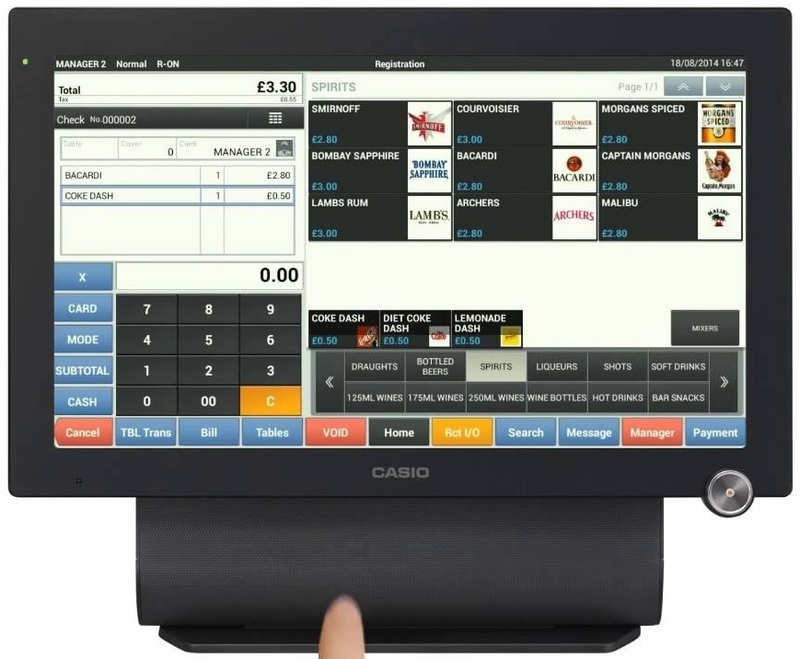 Although there are similar brands that offer these features, Casio have demonstrated that they are a market leader of two of the best EPOS Systems on the market. They are the Casio VR100 Till and Casio VR7000 Till. Like we said, EPOS systems can offer so much for the business owners. They are synchronised, modern cash registers that offer top-notch functionality. Casio have done an amazing job with the VR7000 and VR100, which are both high quality, flagship products. The large, responsive VR7000 touchscreen offers staff fast and easy access to products and menus. The cloud reporting features and the advanced stock control means that you can access important business information at any point in time and then react to competitors and update menus quickly. Everything is optimised and synchronised on a fully customisatable cloud back office software. For the more serious customers you can even add customer accounts for doing points loyalty or cashless on account. This can be done by magnetic swipe card, scanning a card or even contactless cards. Mobile app solutions for customers are also available by SWSystems tech team. 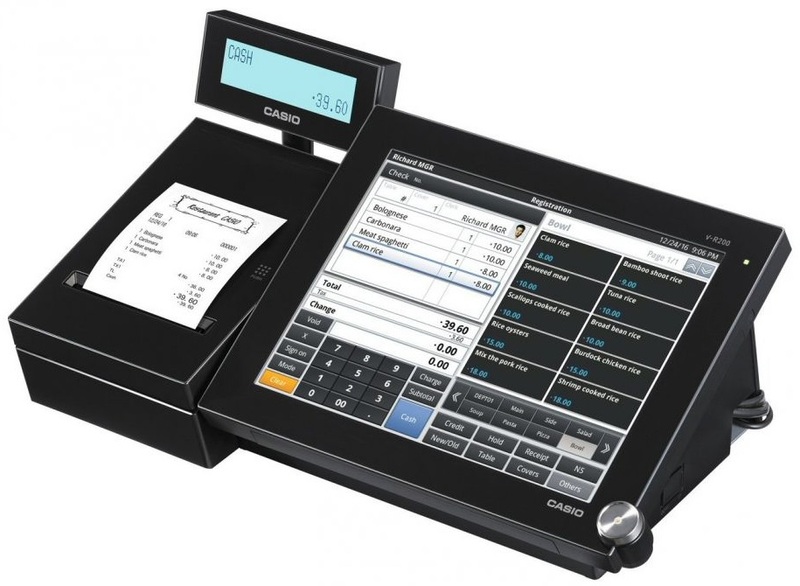 The Casio EPOS systems are one of the easiest to maintain and to control. The transparency of stock availability can also be very useful and maybe crucial for some businesses. Which EPOS Till systems are best for business? They are best suited for business in the food and drink industry like: Bars, Pubs, restaurants, cafes, coffee shops, takeaways, fast food, quick service, food trucks as well as retail scanning businesses e.g. a gift shop or fashion store. Our SWS EPOS Systems offer so many great options and customisations meaning that we can do 99% of what you require. Café EPOS till systems can be of great help for local cafes. Not only in terms of registering the orders and inventory management, but also in motivating employees and creating up sales with innovative marketing. Local cafes usually need to look contemporary and to be in line with the latest technologies. To attract more customers, and to create a good image, cafes need to manage their business with innovative solutions, both in software and hardware. One of the most affordable, yet effective ways, to manage your local café and take it to another level are the Café EPOS till systems. 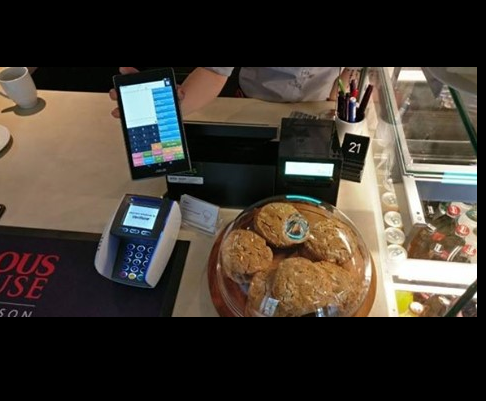 This digital cash registers, are more than just cash registers nowadays. Let’s see their features and how they can help you take your hospitality business to another level. These systems guarantee scalability, integration and flexibility. This means that you can use them and adjust them to your needs and use them to grow your business. The use of our Casio VR7000 and VR100 EPOS Systems can make a dramatic change in not only how you manage your business, but also to grow a brand your visitors will like. The modern EPOS till systems can easily integrate with a cloud back office software. The till systems will generally let you create unlimited modifiers and custom menus from your best cafes, snacks and deserts. This not only will help you sale more, but also enables you to upsell with special offers that can be visually presented by your employee on the iPad. Any order can be registered easily and later included in your reports. You can follow your sales, edit your products, prices and offers all from a computer with an internet connection because our systems are fully web enabled and secure. Another important feature that the Café EPOS Till Systems have is the possibility to create employee contests. This can motivate them to do even better and help you earn more revenue and engage your customers even more with your coffee. Your staff will also be subsequently followed and you can manage their hourlies, hourly sales and even create period report for breakfast or lunch. Everything can be followed live and easily. You can later export tons of different PDF, Excel or CSV report for further analysis and print and save them for bookkeeping purposes. Simply, the power in the EPOS Till System is in its software and the help it can give you to better manage your café. One of the best EPOS Systems are the Casio VR7000 EPOS Systems and the Casio VR100 EPOS Systems which are easy to install, customise and use. If you think your local hospitality business can do better, then don’t hesitate to invest. It is a relatively small investment compared to the management tools it can offer and with all of these features you will most likely improve your brand, customer and employee satisfaction as well as increase revenue. EPOS Till Systems are known to widely improve business operations because of the great order management and creation processes. 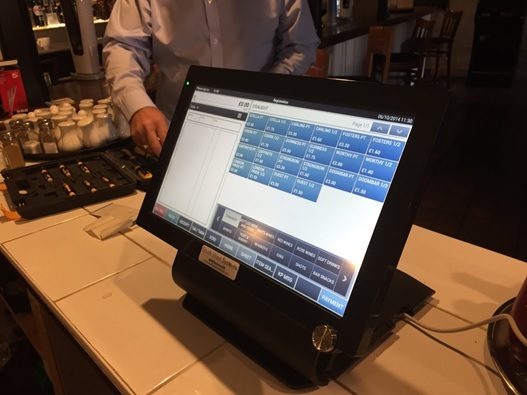 They usually come with touch screens where employees can easily register any order and because of the cloud back office software, every change is updated instantly to each device. This means that managers can follow the number of orders, employees as well as export reports remotely from anywhere. However, the EPOS till systems are additionally useful because they can be integrated in popular mobile devices like the iPad. 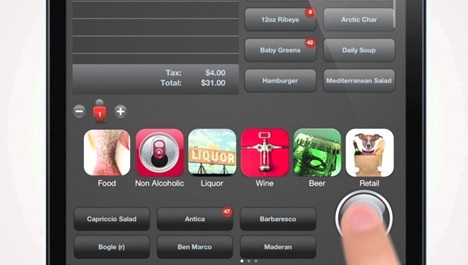 Here is where the restaurants can make use of such systems. As everything is cloud based, the employees can take the iPad to the guests and visually present dishes, recommendations and even show customers your menu to double confirm their selection. After the customers decide for certain meals the waiter can manually enter them from the iPad and everything will be synced with the other orders and the fixed restaurant iPad EPOS Till Systems. The key of benefiting from such useful features is the custom EPOS software that can also do several other functions that are worthy of mentioning. The SWS iPad EPOS Till Software is actually an enterprise solution for restaurant. First and most importantly you can do unlimited revisions and edits to your menu. This makes the EPOS flexible and adjustable to the restaurant’s needs. 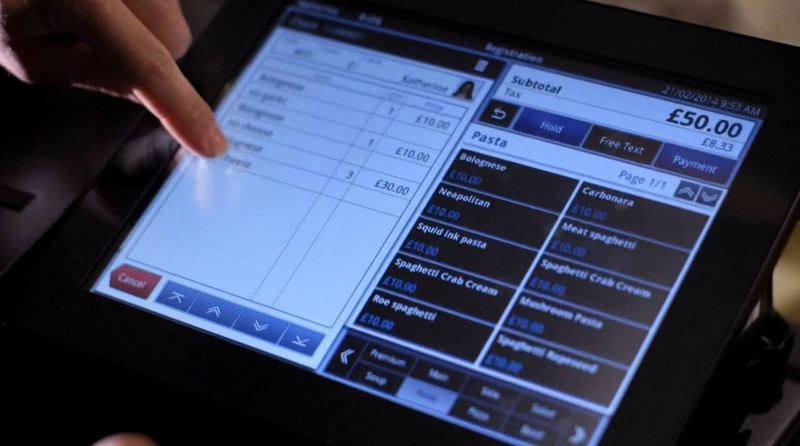 Because it is all based on a stunning device like the iPad, with the EPOS software owners will be able to create appealing menus, and most importantly pairing recommendations that can be visually appealing and create increased revenue through up-sells as seen with SWS iPad EPOS Till Software. Additionally, the software can serve you as a way to motivate and control your staff. Owners can create contests between staff to motivate them to be politer and to sell more and boost their spirit. The software can also help you create custom messages and promote events on the iPad or add your own packages to increase sales. The goal of this restaurant EPOS is to help you upgrade your business and help you earn more money. Every operation that is done through the iPad is registered on the cloud. So, the owners can follow the action and do analysis from a computer easily. There is also employee clock in and clock out for even better management. The days when the classic cash registers ruled the retail world are over. Nowadays, the till EPOS systems offer far better features and options for the retailers. 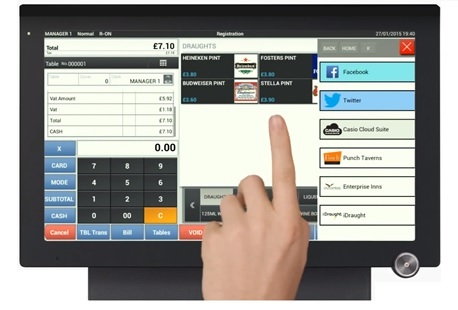 The best two EPOS till systems, or the modern cash registers, will be further explained. In simple terms, EPOS till systems are cash registers that offer tons of features like purchase ordering, stock control, creation of reports, editing of quantities, prices, analysis. On top of that, the EPOS till systems can be followed and managed via the cloud from any computer that is connected to the internet. They are great for totaling tables, creation of pricing and adding of products, printing receipts and finalising bills. 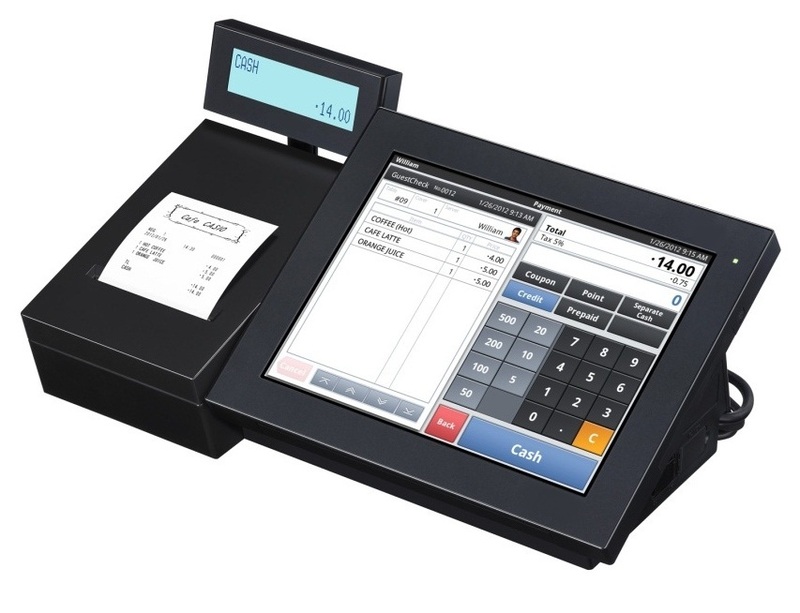 These modern cash registers are great for small hospitality, retail, beauty shops and weighing businesses. They are easy to understand and use along the way.On top of that, these EPOS systems can be combined with sophisticated devices like the iPad. When combined, they can enhance business’s efforts in marketing. They can be used to create amazing menus for example, or to create competitions between employees about who generates the most sales. There have been several producers that claimed to have the best EPOS Тill Systems. However, throughout the years, the experience of many businesses proved that Casio still offers the best ones because of the set of features and quality included in a relatively affordable price. 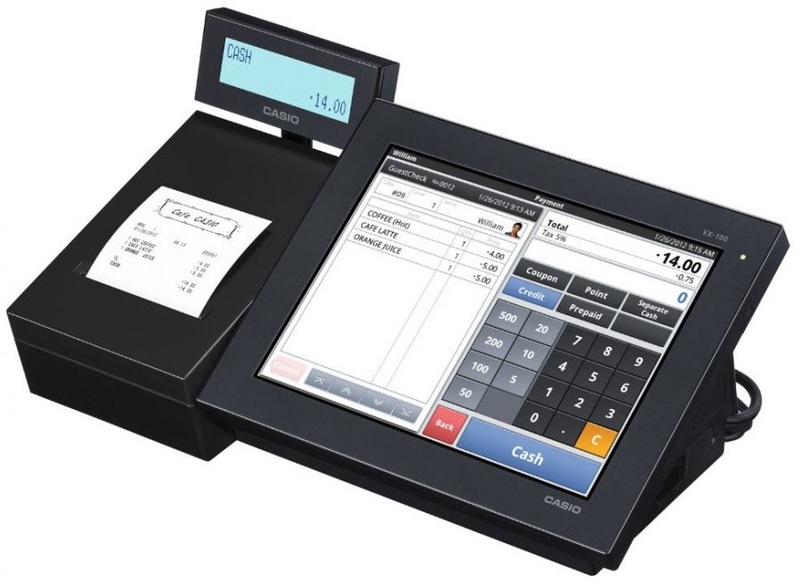 Two models are especially popular: the Casio VR700 and Casio VR100 EPOS Till Systems. We will further explain them, so their value and usability is further understood. The Casio VR700 and the VR100 Till Software enable tons of features that can be of great benefit for the users. From retail scanning, to real time stock control and staff management, the EPOS Till System from Casio guarantees full control and management versatility. Even though it offers tens of great useful features, the system is easy to use and can be understood by any employee. There are real-time reporting that can be exported in PDF, Excel and CSV in no-time and printed on any type of paper. Again, if the business integrates with the cloud everything, from stock to the reports, will be accessible from any PC, tablet or smartphone that is connected to the Internet. On top of that all of the features are cloud software options and can be adjusted to any business. From creation of branches, to creation of loyalty smart cards and creation of contests between employees, there are some alternative features that can additionally upgrade your business. The modern cash registers have ultra-quality displays, touch controls, cloud software integration and the ability to do so many features. The EPOS Till Systems are a great investment for any business, especially from a brand that proved in the past to produce stunning products. However, another important thing is the reseller from where you will buy such EPOS Till Systems. Be sure to buy from trustful resellers that can help you with the installation and setting up the system and that can offer full support until you fully implement and understand it. London based hospitality businesses and stores are missing great opportunities that one great EPOS till system can give. Let’s find out more about the best Till systems London business can have and how you can benefit from it. EPOS Till Systems are actually cash registers with tons of digital and software features in them. From touch control, to intuitive user interface and process ordering and customisation, you will be able to follow and control everything related to your business sales, revenue, expenses, employee management and many more. Especially if you use a cloud software that will give you total control over your business activities from anywhere you log in. Each industry has its own standard products i.e. 2-3 products made from particular brands that have large market share because of the quality they offer. In the EPOS till system industry that brand is Casio and the two best EPOS till systems are the Casio VR7000 and Casio VR100. Depending the need of your business, one of these two will be an excellent solution if you are searching for a epos solution with modern management options. Let’s go through the options and see how these two great products can help you! The first huge benefit is that they are compatible to custom cloud software that enables real-time cloud reporting. While your employees are selling products, you will be able to see everything from the comfort of your home, or from any other location with an Internet connection. Anything can be exported and printed from within the cloud. But the cloud capability is only one of the many features your business will adore, because all of the standard PS features are here. The touchscreen of both devices looks great and feels so intuitive. Your workers will not only be able to sell and register in a better and more effective way, but they will also be able to customise current product names and quantity, price and many different parameters. The till systems are so powerful, that they have installed tutorial videos within them, which your workers may use at any time if they don’t know how certain feature works. So, if we need to explain the two models quickly it would sound something like: customizable, helpful, effective and versatile. This makes hem totally ideal for retail scanning, retail non-scanning and hospitality businesses (bars, restaurants etc.). Obviously, you can’t limit the Casio vr100 and Casio vr7000 only to these type of businesses, but these are the ones that will mostly benefit from it. EPOS Till Systems can vastly improve how your business operates. If you are in search for Tills Devon based solutions, we will inform you about the best ones and the set of features you will get. Usually, EPOS Solutions that are effective and full functional need to have set of features that can increase the control over the business’s services, products and management. If you are in search for the best EPOS Till Systems, one company that should always be in your mind is SWSystems and our range of high performance, Casio branded products. The two best products of the Casio Till Systems series are the Casio V-R7000 and the V-R100 EPOS Till models. In reality they basically offer similar features and advantages. The core values of the Casio products are entailed in both EPOS systems. They both are compatible with additional cloud back office software that can be of help for electronic reporting and head office management. Bellow we will emphasise several of the most important features that can benefit customers in the Devon area. The first great features are the real-time cloud reporting. With a nicely coded software, users of the till systems will be able to see items sold, revenue, employees, top 50 best sellers, change prices and edit prices with ease. Other smart features include cloud based table plan. Both EPOS till systems enable detailed stock control that enables users to customise it to the tiniest detail possible. As these touch screen EPOS tills are built to be extremely intuitive, the business owners and employees will quickly get to know and make use of the features of these electronic cash registers. The sense of control these EPOS systems give are impeccable. With few simple taps you can change prices, edit product names, add details, quantities on the cloud or on the front end till app software. Both systems entail hardware options like terminals, receipt printers, barcode scanners and even integration with mobile devices. 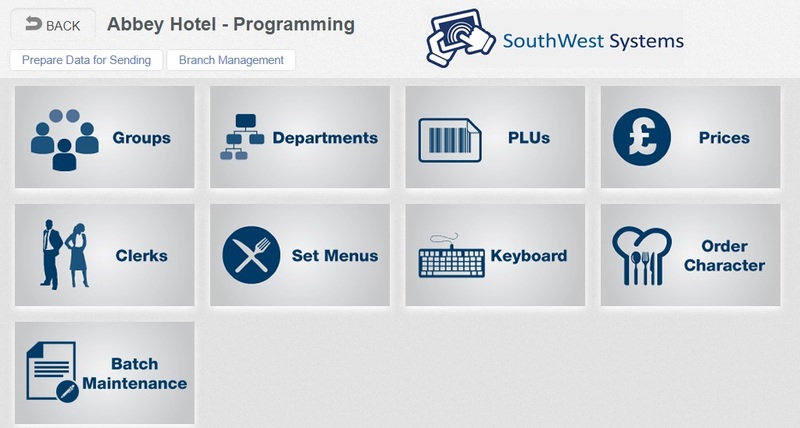 Anything you see on the Till app software are fully customisable and business owners can adjust it to their needs. Alternatively, there are helpful features that will increase and help with marketing such as the ability to integrate with points loyalty software using customer accounts and magnetic swipe cards or contactless smart cards. Both systems have amazing high clarity touchscreens and the optional extra to have detailed cloud dashboards. Not only is our software customisable, but the hardware is amazing too. All systems are dust and drip proof for spills. 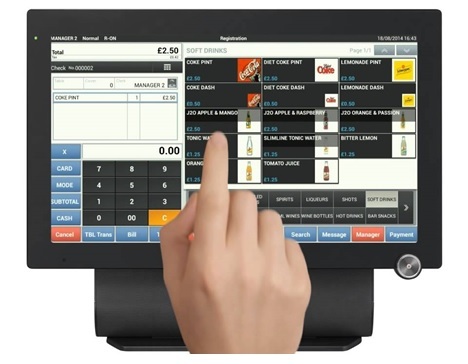 SWSystems are the leading suppliers / distributor of EPOS Till Systems for Bristol. We offer a great range of hardware / software options to businesses in order to improve stock ordering and staff management. Customisation, simplicity and effectiveness are our strongest features of our SWS EPOS till systems. Let’s talk about one of the best till systems on the market and understand its features and uses. Casio for over 40 years has been one of the most popular hardware manufacturers on the market producing high quality hardware and software apps. Today we will talk about arguably their best two till systems: Casio VR7000 and Casio VR100 EPOS till systems. They are available for purchase with South West Systems in Bristol for both retail scanning or hospitality businesses! If you ask any EPOS Till System expert, which till system is one of the best and offers the best features, you will most likely get the following answer: Casio VR100. This doesn’t mean that the Casio vr100 is the best EPOS till system there is on the market. There may well be better options, but they are much more expensive. The best thing about this till system is the fact that it offers great combination of price, features and quality. What you need to factor in is do I really need that extra 10% functionality if it is going to cost you twice the price! The performance is unbelievable and because of the features this till system can be used anywhere in both hospitality and retail situations. From restaurants and bars, to hotels and shops, it is the ideal solution both from hardware and a software point of view. The EPOS software solutions offered from South West Systems, accompanied with the hardware/software features of the Casio V-R100 are the only thing you need in your business. The unlimited modifiers, scanning options, real-time stock control and the ability to have staff incentives are just some of the many great uses. Cloud back office software can be added at time of purchase or even at a later date. We do recommend the cloud back office software but this system gives you the flexibility of low cost monthly fees or none at all. The V-R7000 EPOS Till Systems used for Casio Cash registers across Bristol and the South of England can bae one of the best investments for any business. Not only that it offers cloud based software solutions, but also because there are great amount customisations, adjustable features and reports. For a relatively small investment in this till system, your business can get long-term hardware and software benefits that are unrivalled. The Casio V-R7000 combines powerful hardware with carefully crafted Android EPOS Till software. Everything is easy to use and staff training takes just 5 minutes. The till system can not only register purchases and control your orders and stock, but also there are some really neat features like print messages, discount, vouchers, app loyalties, delivery option, reservations and other little features. What is great about this till system is that anybody can easily learn it with the simple tutorials available from SWSystems. So, in no time you will learn how to use one of the best EPOS till systems and make it work for your business and needs.